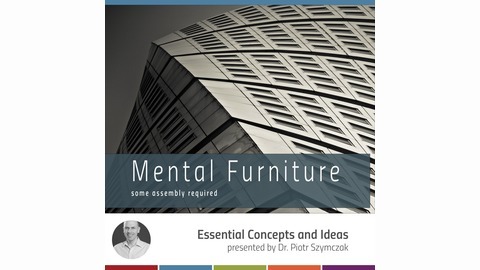 A short podcast about essential concepts and ideas presented by Dr. Piotr Szymczak. Some assembly required. The header image is a cropped and desaturated image by Rob (Abstract Coloring Book) available as a Creative Commons 2.0 resource from Flickr. 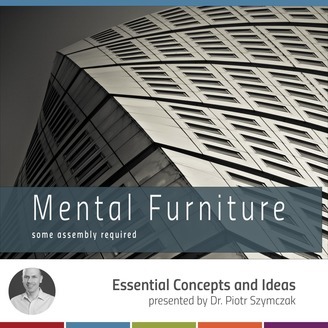 The word paradigm seems like an abstract and forbidding term, but it actually communicates a useful idea. The concept of paradigm shifts became immensely influential in the 1960s and 70s thanks to an academic Thomas Kuhn who wrote a book called The Structure of Scientific Revolutions (1962, 1970). Kuhn’s argument challenged the traditional idea that scientific progress was a matter of gradual improvement, where new facts and observations would steadily add up to form a more perfect understanding of the world. Instead, Kuhn argued, our knowledge of the world develops through so-called paradigm shifts... The background music is a looped clip of Adam Selzer’s delightfully carefree "Charmed Life” from the album “Production Music” (2015), available as a Creative Commons 3.0 resource from the Free Music Archive. The background image is "Turning Torso" by Peter Alfred Hess (2010), available as a Creative Commons resource from Flickr.